Without a firm foundation, the shift from high school to college or college to career often throws students for a loop. This career and college readiness curriculum equips young adults for the transition by developing critical skills like resilience, problem-solving and adaptability. 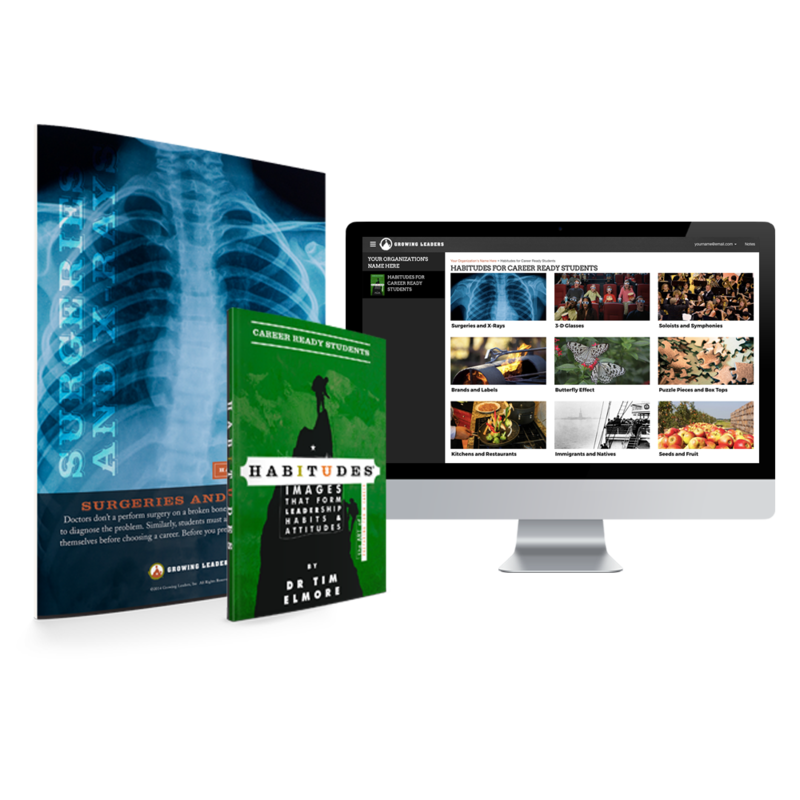 Habitudes college and career readiness lesson plans help students better prepare for their future through engaging, image-based content. Based on research conducted by the National Association of State Directors of Career Technical Education Consortium (NASDCTEC), Habitudes for Career Ready Students addresses the traits all high school students should have upon graduation to be ready for the next step, regardless of their chosen field. Whether preparing for college or to enter the professional world, young adults need the tools to go forward with confidence. This college and career readiness lesson plan is a practical resource for educators and adult leaders to help students acquire those skills and more. If you would like more information on how our college and career readiness lesson plans can provide a helpful support for your students, we would love to talk with you. The Habitudes college readiness program, along with our career readiness lesson plans, uses image-based learning to help teachers engage with students. 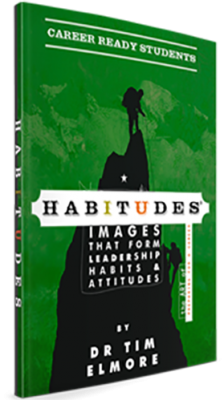 Each Habitude image introduces young adults to powerful leadership principles rooted in real life, sparking conversations with facilitators that lead to memorable experiences. These unique and transformative encounters are a part of an ongoing process that builds the leadership habits and attitudes that graduating students need for life beyond high school. This simple approach to college readiness curriculum and employability training, outlined below, stems from our research-based principle that people learn better through circles of image-based learning and discussion than by simply sitting and listening in rows. 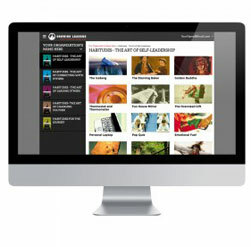 Habitudes Online provides you with online access to our college and career readiness curriculum for high school students. All college and career readiness lesson plans, guides, videos, and presentations are available from any device. "We believe in creating a culture of growth, character, and knowledge, and we believe our students can own their own character. We are in the process of minimizing external behavior controls over students and maximizing the student’s decision-making ability through good strong character traits that they would reference prior to making decisions and actions. Habitudes is helping us accomplish this." Habitudes for Career Ready Students is an excellent tool that supports our teachers as they help students master the Nebraska Career Readiness Standards. Our teachers say that the resources have challenged their students, equipped them to think more critically, and truly helped them understand the key competencies behind the Nebraska Career Readiness Standards. The work of Tim Elmore and the Growing Leaders team is having a very profound impact on our school. Tim’s book Generation iY has been a foundational read for our faculty and staff. We use the Habitudes curriculum on a regular basis and the images have already gained a foothold as an integral part of our work with our students. As a former captain of the University of Alabama women’s tennis team, my training in Habitudes proved valuable in leading the team to a Top-10 ranking in 2012. The principles I learned extended far beyond student leadership and set me up for success in my life after tennis. Habitudes is the best program for first year students and beyond. It is a tool that encourages and teaches deeper thinking and dialogue. You can’t go wrong if you want to serve your students with the most cutting-edge, researched, and student-savvy program I’ve seen anywhere. Using Habitudes revitalized my teaching and led to a greater understanding of the students we face in the classroom. The Career Ready Practices, upon which this book is based, articulate essential skills and practices that all students need to cultivate, apply and grow as they progress through their education and career pathways. These practices form the foundation for how students learn and work. They require and reflect a commitment to lifelong learning and adaptability. Together with academic and technical skills and knowledge, Career Ready Practices will help more students find success and secure a fulfilling, living-wage career. Enter your email to view a free sample chapter from Tim Elmore's book The Art of Preparing for a Career. Habitudes for Career Ready Students is a turn-key curriculum that equips your students to launch into a career — rather than linger — after graduation.